If you’re the kind of person that loves holiday-oriented home decor, Valentine’s Day may be one of the days you look forward to most (aside from Christmas and Halloween). 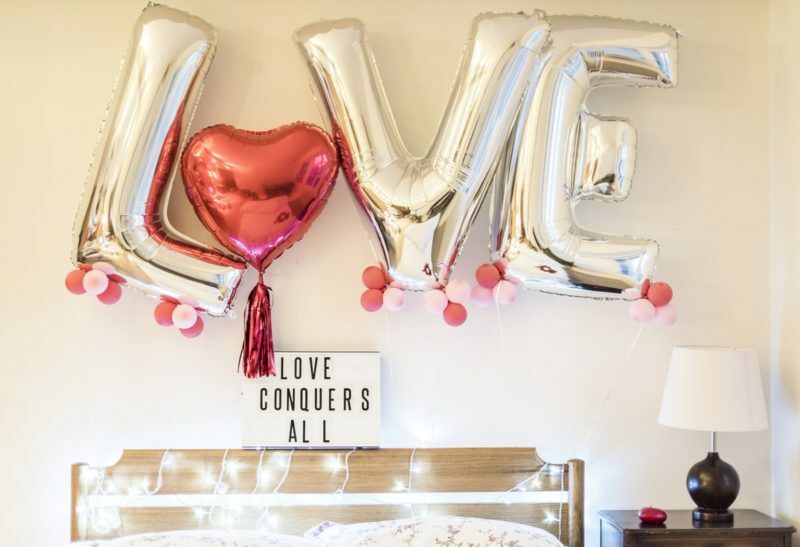 Because it’s a holiday dedicated to love, we figured we’d showcase a few Valentine’s themed home decor ideas we absolutely love. With red and pink being the holiday’s primary colors, it may be difficult to implement this color scheme into your home’s existing design. 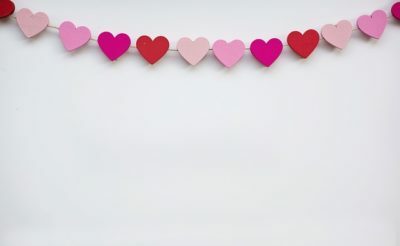 Garlands, banners, and other hanging decorations are a one way to seamlessly bring a pop of pink into your home for Valentine’s Day, without it being overwhelming. If you’re the kind of person that loves to keep their dining room table aesthetically set with permanent placemats and flatware, you can absolutely use this to your advantage. Tablescape your dining room table with a Valentine’s Day theme. 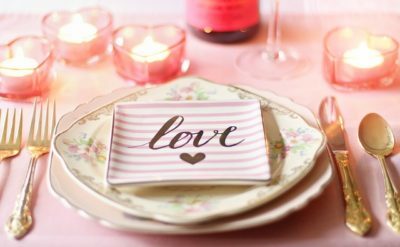 Grab a pink or red tablecloth, some love-themed flatware or silverware, and some sweet tealights to top it all off. Buy a pink or red quilt, or duvet, to throw over your bed and give it an extra added romantic touch. This is an easy way to express your Valentine’s Day spirit. Some beautiful pink or red throw pillows and throw blankets to place over your sofas and other furniture also make lovely accessories. Candy bowls filled with candy hearts, pink and red string lights, and roses all make lovely accents for your overall Valentine’s Day decor theme. Consider taking some roses, placing them in a glass vase, and wrapping the vase in pink fairy lights for a stunning centerpiece. 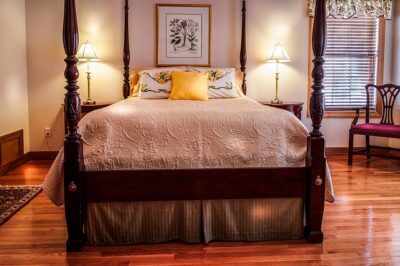 No matter how you decorate this Valentine’s Day, the goal is to make your home a place where you can rekindle your romance – and your zest for decorating. Still debating what to get that special someone this Valentine’s Day? If they’re a design devotee, they might appreciate one of our designer furniture accents.